Use Holiday Scents to Encourage Consumers to Spend More! With the holiday season upon us, many retail stores are facing the inevitable drop-off of in-store traffic in favor of online shopping. Factor in the constant struggle to differentiate one’s brand from the competition, and the increasing focus on crafting an outstanding in-store shopping experience begins to make more sense. To distinguish their in-store experience from the competition, many retailers are placing great weight on the use of experiential marketing tactics, such as the application of branded music and holiday scent marketing. Science has long proven the use of scent to be effective in influencing customer purchasing behavior and driving increased sales. Advertising gurus and marketing maestros have peered into your psyche and they know how to make you buy. And buy. And buy more. And every year, when shopping season arrives, they pull out every tool in their arsenal. One that you may not notice, because it flies under the radar, is how companies control the sensory environment in their spaces. Scent marketing is being chosen to make you feel happy and put you in the mood to spend on what they’re selling — and it really works! It’s beginning to smell a lot like Christmas. One reason more and more retailers are turning to holiday scents is to help elicit that nostalgic feeling. Scenting is more subtle than sound. Often, patrons don’t even consciously perceive scents. Yet, smell can evoke nostalgic feelings even more powerfully than other ambient elements. A smell can bypass the conscious mind to elicit memories and strong emotions unconsciously. It can reach back in time to immediately bring back some of the oldest, and most nostalgic, memories from our childhoods. In fact, research indicates that odor evoked memories can be experienced as more emotional than memories elicited by other senses. That means they have an even bigger impact than the sound of Jingle Bells or the sight of those cheery Christmas lights. This holiday season the right smell will help you sell. Smell influences our moods and emotions and makes us feel nostalgic. This is something referred to as Proustian memory effect. The intensity of the memory that has been evoked by a certain aromas will become a motivational factor in that individual’s behavior, and in a retail environment that will affect the way in which they spend with your brand. INCREASE FOOTFALL by enticing customers into your store. Research has found that 74% of consumers have been drawn into a store because of an inviting smell. INCREASE DWELL TIME – encouraging more time spent in-store and a better likelihood of making a purchase. During the 2015 Christmas period, when consumers were asked about their experience of nostalgic festive scents, 50% of people agreed that a familiar Christmas smell would encourage them to stay longer in a shop. INFLUENCE IMPULSE PURCHASES – by creating an experience that inspires consumers to buy. 70% of people act impulsively due to smell. ENCOURAGE POSITIVE EVALUATIONS – Nurturing positive association with your brand, leading to loyalty and referrals. According to the Scent Marketing Institute, it can increase positive product evaluations by 25%. The right scents are good for consumers. So, what scents should be used during the holidays? You probably don’t need science to tell you that the smells of evergreen trees, peppermint, gingerbread, pumpkin, cider and spices are high contenders. 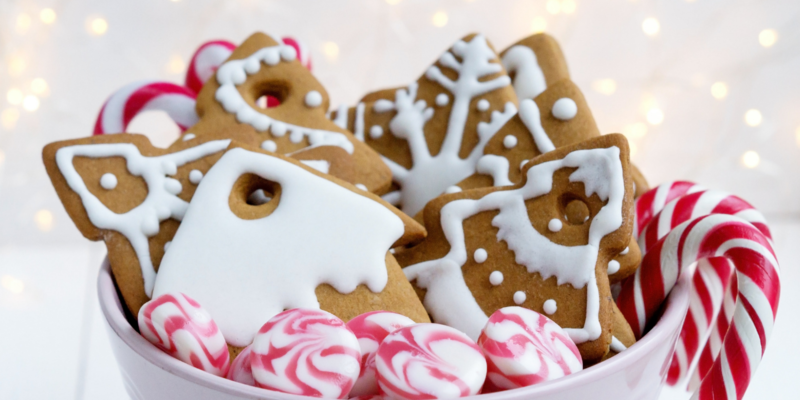 Although several smells remind us of holidays, cinnamon tops the list according to one study. Eliciting nostalgia isn’t the only benefit to providing a scented holiday environment. Many of these smells have positive cognitive effects. One study shows that pine may lower hostility and depression and improve your mood. And both peppermint and cinnamon have been shown to decrease fatigue and frustration—something we can all use during the crowded holiday shopping season. Fortunately for retailers, the science behind scent marketing isn’t just academic — major retailers like Nike found that scent marketing in retail stores “increased intent to purchase by 80%.” In another real-world scent marketing experiment, the smell of fresh-brewed coffee at a gas station increased coffee sales by 300%. And lastly, a study that analyzed the spending of 400 shoppers over 18 days in a home-decorations store with scnet marketing and it showed that people spent 20% more. Not only will scent marketing help you create an immersive brand experience, but there’s enough evidence that scents can help positively influence consumer behavior in retail spaces, and there are enough low-cost/low-risk solutions that there’s no reason not to start experimenting with scent marketing. Not sure what scent you want to try, or how to get started with scent marketing? Contact Scentsational Impressions and discover why profits never smelled better.